Ridnaun. 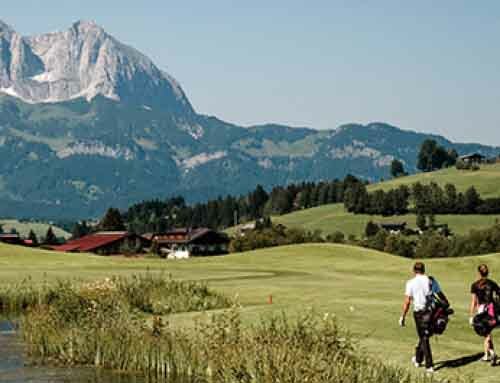 The 4-star superior Hotel Plunhof is a jewel in the crown of the South Tyrolean holiday region. 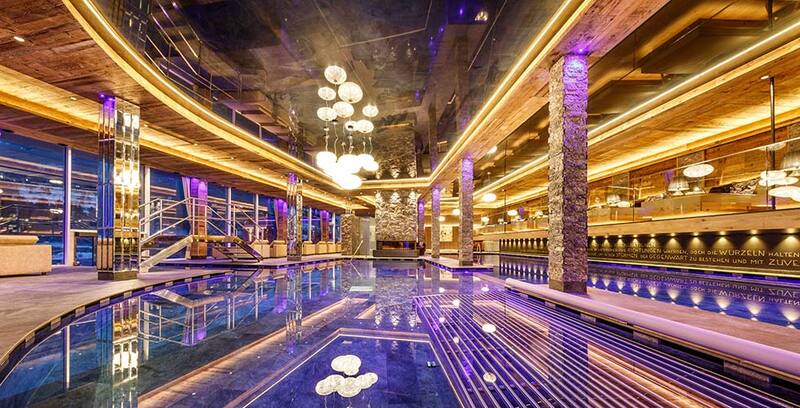 Recent investment in the family-run spa hotel means that guests can now enjoy more than 4,000sqm of ‘wellness above and below the surface’. 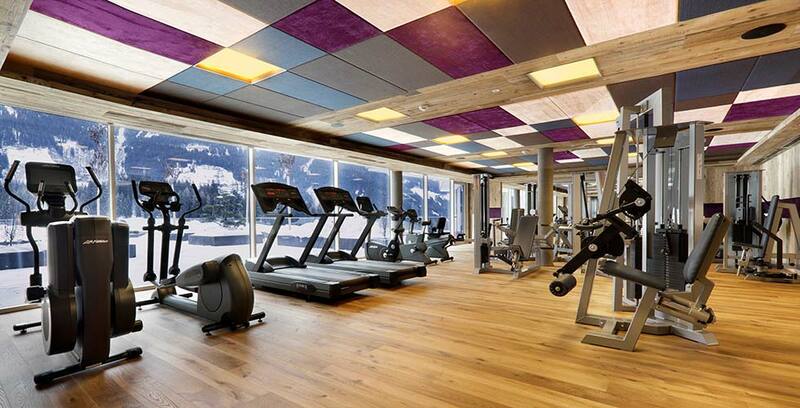 Guest wellbeing dictated the design for the new poolscape, outdoor relaxation areas, panoramic gym and studio for Yoga, fitness and meditation – just some of the Volgger family’s new additions that add up to an investment of €6.5 million. The eight siblings and their mother Paula have raised the bar with this major upgrade resulting in a mountain spa unrivalled in Europe. Fresh, natural… a mountain sanctuary. A picture book idyll, except it’s real. Waterfalls and streams meander towards the valley. Snow-covered peaks are reflected in clear mountain lakes. Lush meadows in summer, a paradise for skiers in winter. With relaxation in the Acqua Minera and renewal in the grotto realm. Authentic cappuccino and spa pampering with organic and high-tech cosmetics – where la dolce vita and Alpine roses meet. 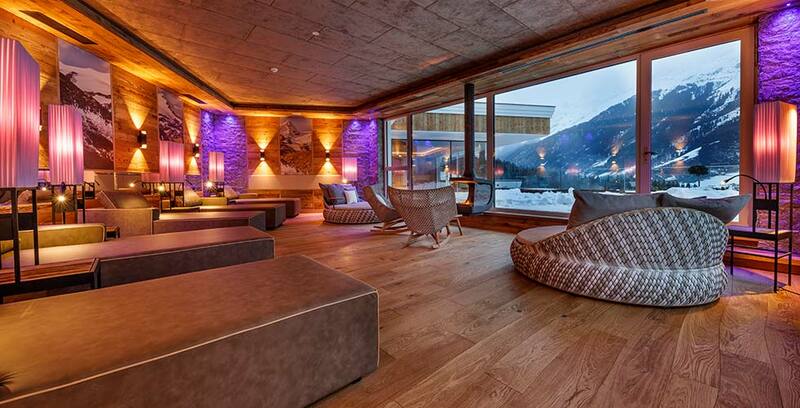 A place of Alpine delights and mountain wellness at 1,340m. Hospitality has found its home: the Plunhof. 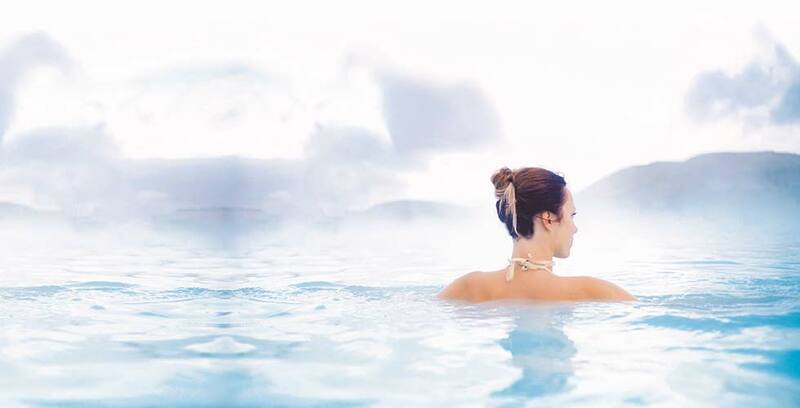 Guests who come here for a spa holiday discover extraordinary experiences in Europe’s only ‘wellness above and below the surface’ concept at the Spa Minera. This destination spa was created in homage to the centuries-old mining tradition around Ridnaun, and this is reflected in its architecture. Whether in the saltwater whirlpool, saunas, steam room and infrared cabin, the shower temple or amazing relaxation areas – guests make the most of the feel-good atmosphere where they can be immersed in a ‘world of mining’. Spa Minera was nominated for the GALA SPA AWARDS 2016 and voted Best of Italy in the 2017 HEALTH & SPA AWARDS. The area’s ancient mining traditions have found a new home in the Plunhof’s latest development: in 2018 the recently reopened spa was expanded by around 1,800sqm and is now over 4,000sqm in size. 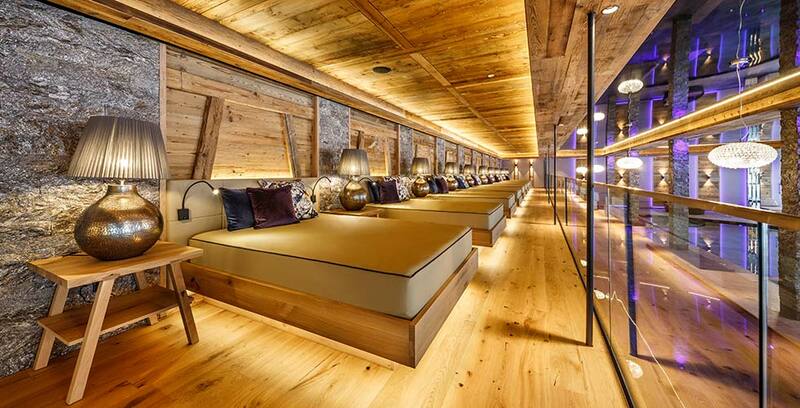 The Volgger family commissioned Tyrolean architect Karl Landauer who had designed the original spa in 2014. New experiences await in his wellness oasis: a new 20m indoor pool and a relaxation pool linked to the outdoor poolscape where bathers have a year-round heated 17m outdoor lap-pool as well as a whirlpool, framed by a 173sqm natural pool with built-in water loungers. A 500sqm relaxation area with a green terrace and spacious sunbathing areas was created around the new natural pool. ‘This area provides open vistas of the mountains and the miners’ chapel of St Magdalen. 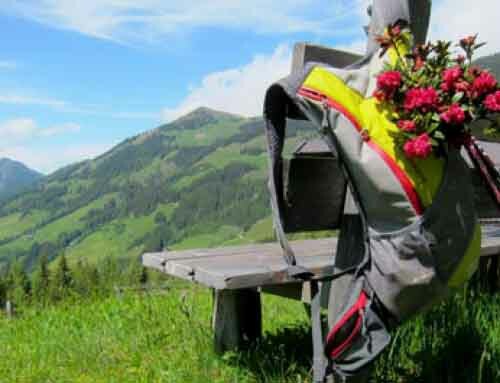 It’s a place where you can recharge your batteries and take deep breaths of the invigorating mountain air. Nature has the power to move mountains and even reshape our being’, says hotel director Paula Volgger. In response to numerous guest requests, the outdoor saltwater whirlpool has been designated a textile-free area. The hoteliers have added relaxation areas such as the new sun terrace and, inside the spa, a relaxation gallery with double loungers, a library, fireplace and a spacious changing area. ‘With this investment we hope to meet our spa guests’ requirements and offer them plenty of room in which to relax and unwind. Water, fire, air and earth – our spa has all the elements to produce a feeling of being absolutely centred,’ says Paula Volgger. The South Tyrolean hoteliers have also managed to integrate the magnificent mountain scenery into their 4-star superior hotel. 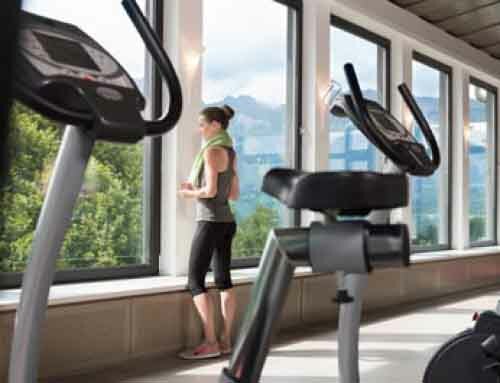 Guests now enjoy a brand-new panoramic gym (138sqm) and – upstairs – a new Yoga, meditation and fitness room (100sqm) with a green roof terrace and a panoramic relaxation room. 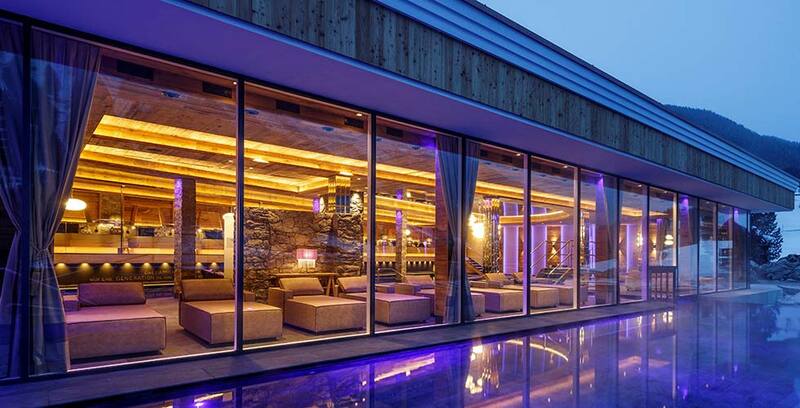 ‘The floor-to-ceiling glass façades create an extraordinary connection with the Alpine outdoors’, says Thomas Volgger. The expansion of the mountain spa has also meant extending the beauty treatment menu. There is a distinct fragrance of hay and Alpine herbs. Power from rock and soil is the theme of Spa Minera’s new range of treatments that focus on pure organic, high-tech and medical cosmetics in collaboration with premium partners – as well as offering unique signature treatments. ‘The best way to go about developing organic beauty products is to carefully observe how nature does things. Preferably, you should just do that for half a century’. The Volgger family took this idea to heart and modelled their organic skincare line on nature. Dr. Spiller’s ALPENRAUSCH products meet the strict BDIH standards for certified organic cosmetics as well as the major requirements for the COSMOS ORGANIC seal of approval. The COSMOS standard requires that at least 95% of ingredients sourced from agricultural production must come from certified organic farms. 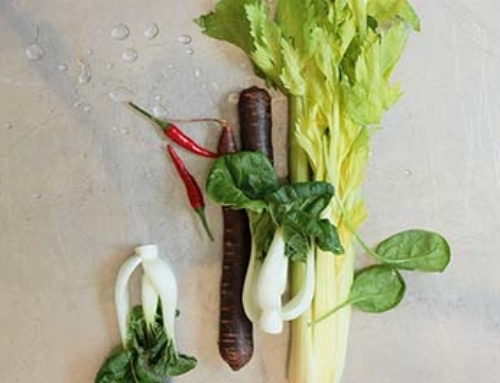 Every processing stage, from cultivation to end product, needs to respect the character of the raw materials used and their active natural substances, leaving them fundamentally unadulterated. Whether it’s a highly effective facial treatment for dry, sensitive, mature or oily skin, a deep cleanse with a clarifying body scrub or a wellness treatment with exfoliation, wrap and massages – ALPENRAUSCH fosters harmony and offers natural, pure and complete wellness. The exclusive products that make up this high-tech line provide skin support at the point where nature reaches its limits. They combine the tools of biology with the latest scientific advances for beauty care at its most sophisticated. CELLTRESOR gets to work where the skin lacks reconstructive substances – from epidermis to dermis with products based on highly concentrated, deep-acting formulas. Each serum contains a high-tech compound with extraordinary anti-ageing effects, activating skin-specific mechanisms on all levels to repair and sustainably restructure skin. Europe’s most discerning judges agree, voting CELLTRESOR one of the best lines in Europe for the second time. The revolutionary CELLTRESOR The Beauty Safe Treatment was awarded the Spa Diamond Award 2016, while Dr. Spiller received the European Health & Spa Award 2016 for his anti-ageing research and best European product innovation. Modern men seek uncomplicated treatments with powerful effects. Dr. Spiller’s skincare range for men makes use of perfectly attuned products to create a state-of-the-art skincare programme that meets the special requirements of masculine skin. Men’s skin is more robust, contains more fat and ages more slowly – and more visibly. This is addressed with natural ingredients and decades of research. The innovative men’s skincare line restores skin energy – however stressful or sleepless life may be. Dr. Spiller’s trailblazing WELL-BEING SOLUTIONS body care line offers extraordinary wellness experiences, whisking you away to the most beautiful parts of the world: Africa, the Amazon, Asia and the South Seas. The focus is on seductive fragrance compositions and effective herbal ingredients from each region, including the Asian perilla plant, the acai berry from Brazil, the blue lotus from Africa and white orchids from the South Seas… happiness, enchantment, wellbeing and tropical beauty combine for unique sensory experiences. The award-winning and highly effective !QMS Medicosmetics skincare system is a worldwide byword for revolutionary body and facial care and the winner of World’s Best Spa Brand in 2015, 2016 and 2017. Developed by Dr Erich Schulte and exclusively made in Germany, the skincare collection’s powerful anti-ageing products are impressive. This is skincare for face and body that combines revolutionary techniques with the most precious of ingredients: from collagen and pure oxygen to the beauty of natural pearls – tailor-made care for the skin with cleansers, face creams and exquisite rejuvenating products. Naturally, the skincare range is suitable for all skin types and manufactured to the highest quality standards. !QMS Medicosmetics: for beautiful skin and complete wellbeing. ‘Nature is a key theme at the Plunhof: the materials, furnishings, architecture, spa and culinary experiences all reflect our desire to bring nature into the hotel. Being in close touch with nature harmonises body, mind and spirit, and we want to acknowledge that,’ says Paula Volgger. The Plunhof is one of the first EU Ecolabel certified hotels in South Tyrol and has attained ClimateHotel pre-certification. The owner’s environmental awareness is reflected in the hotel’s culinary philosophy. Chefs Peter and Egon Volgger serve mainly seasonal and regional South Tyrolean specialities as well as gourmet Mediterranean dishes. Whether it’s home-made pasta or Paula’s doughnuts –no compromise in quality is tolerated. The dining areas are four wood-panelled Stuben, two of which were sympathetically modernised in 2018. Wine lovers can select from 600 predominantly Italian and South Tyrolean wines and enjoy tastings in the hotel’s Bacchus wine cellar. Looking for the best view, the most romantic ski hut, or the steepest downhill ski run? As part of the hotel’s daily activity programme, the Volggers take their guests out on discovery trips and share their insider tips. The fantastic mountain scenery on the sunny plateau captivates downhill skiers, cross-country skiers, snowshoeing fans, winter hikers, tobogganers and ski tourers. The outdoor fun starts on the hotel’s doorstep and is suitable for all ages. Perfectly groomed, snow-sure pistes offer superb conditions throughout the season – from Ridnaun’s Gasse ski lift to ski areas in Ratschings-Jaufen, Rosskopf Montecavallo or Ladurns. You might think the Volgger family had done enough converting and extending for a few years. Not at all. ‘We’re always thinking about how we can improve things, and we are grateful for our guests’ suggestions,’ says Thomas Volgger. Thus, the hotelier family will soon realise more of their dreams: another outdoor pool, new rooms in a separate wing connected to the main building, a new playroom and another relaxation area. ‘After development comes more development. We can see from our guests’ reactions that our efforts are worthwhile’.